We allready have experience in selling and shipping Kerisses all over the world for the last 10 years. You are very welcome to visit our shop. On this website you find pictures of a part of our collection of Krisses and other traditional weapons such as Krisses from Java and Madura. Kerisses from Bali and Lombok as wel as nice sample's of the Bugis Keris from Sulawesi (celebes) and from Sumatera (Sumatra). There is one example of a Moro Sundang Keris from the Philippines. Besides Krisses we also have a large collection of tombaks (spears) and kudi / kujang from Java, Madura, Bali/Lombok, Sulawesi and Sumatera. Most of the Tombaks are forged the same way as the Keris with a Pamor pattern. The other traditional and tribal weapons we have in our collection have it's origin in the many islands of the Indonesiam Archipelago. We have a nice collection of tribal weapons from Nias, such as Toho (spear), Balato (sword) and Baluse (shield). From Sumatera we have spears, goloks and Batak and minang kabau weapons. The weapons we have from Sulawesi are mainly the Badek or Badik and other bugis weapons. From Java we have the pedang and golok (swords) and many kind of pisau (daggers and knives). 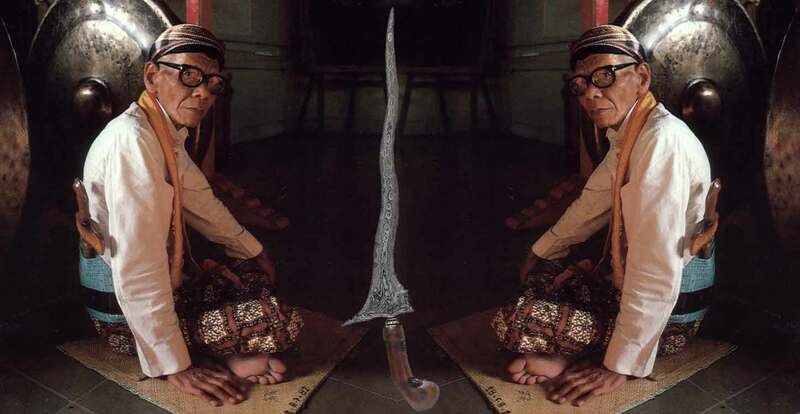 Other traditional weapons from the Indonesiean Archipelago are cunderik, goloks, klewang and parang. Also the kawali sikin sword swords dagger sekin piso pisau mandau chunderik and the Sewar rencong, tumbok lada. Besides the old weapons we also sell books about Krisses, holders & stands for the Krisses (blawong & ploncon), to preserve the Keris we also have many kinds of Keris oil: minyak keris. Most famous are cendana (sandalwood) minyak pusaka and melati.